The disclosure in Parliament came two months after the Delhi Assembly adopted a resolution on "full statehood" during a special session. At that time, Delhi Chief Minister Arvind Kejriwal had said he would campaign for the BJP if the Centre granted full statehood to Delhi. The central government has received no demand for granting statehood to Delhi, Union Minister Hansraj Gangaram Ahir said in the Lok Sabha today. “No, Madam (Speaker),” this was his written reply to Congress MP K V Thomas’ question whether there was a demand to grant statehood to the national capital. The disclosure in Parliament came two months after the Delhi Assembly adopted a resolution on “full statehood” during a special session. At that time, Delhi Chief Minister Arvind Kejriwal had said he would campaign for the BJP if the Centre granted full statehood to Delhi. 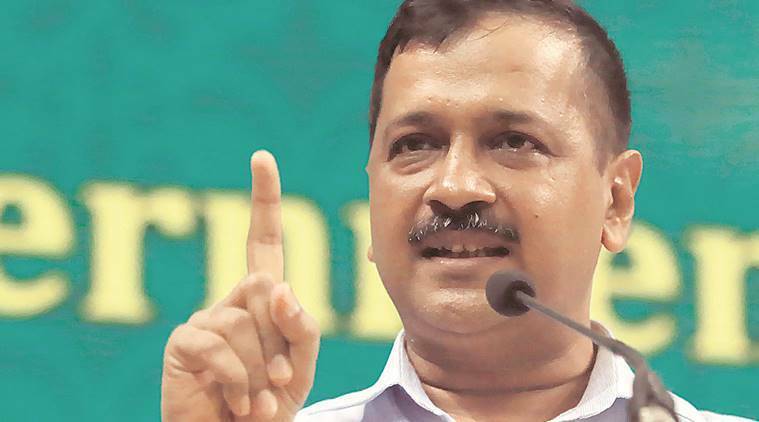 Kejriwal had also said the lack of statehood was the reason behind the continuous tussle with the Lieutenant Governor and the alleged strike by bureaucrats recently. Once Delhi becomes a “full state”, it would witness spurt in the development work, the chief minister had said. The Aam Aadmi party had also launched a signature campaign titled “Delhi Mange Apna Haq” to drum up support from 10 lakh people on the full statehood issue.